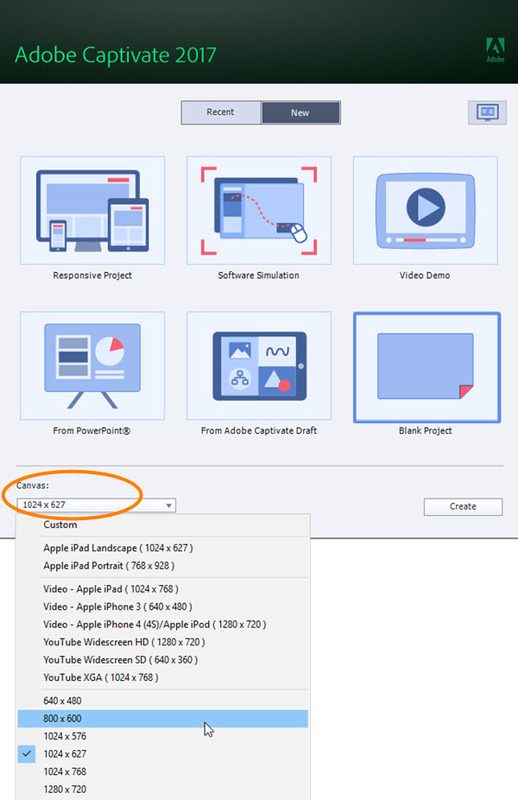 Captivate can be used much like Microsoft PowerPoint to create a simple slide show. 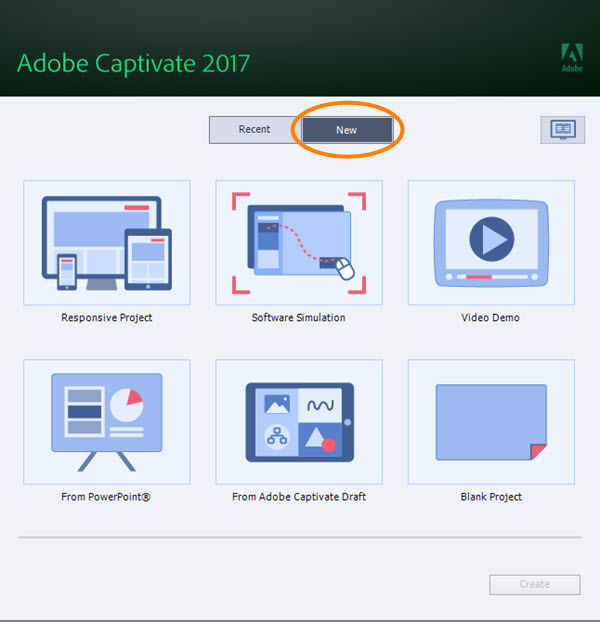 When Captivate is launched, the start screen features two tabs, Recent and New. Click the New tab. 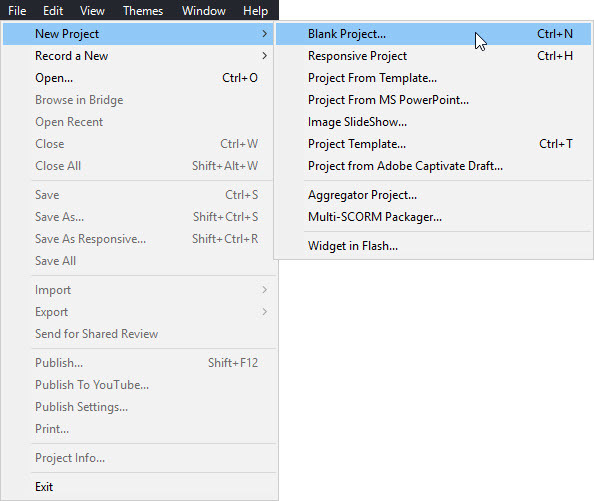 Single-click Blank Project, then go to the Canvas menu at the lower left to set the size. Alternatively, you could go to File > New Project > Blank Project. This opens a dialog box for setting the size.